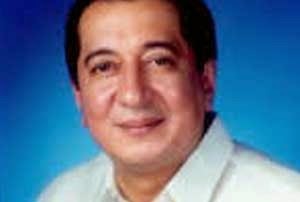 Rep. Al Francis Bichara of the 2nd District of Albay filed House Bill 4037, a bill that would shorten the tedious process of applying for a mining permit from the government. The bill seeks to amend Republic Act 7942 otherwise known as Philippine Mining Act of 1995. Bichara said mining is being touted as one of the pillars of economic development by the present administration since the country is really rich in mineral resources. “With proper regulations to protect the environment and ensure sound mining practices, mining has great potentials to develop and spur the economic growth of our countryside through infrastructure development, job creation and of course, an increase in government revenues, particularly of host local government units,” Bichara said. Bichara said the industry has already attracted a lot of investors, serious or otherwise, as result of the rise of metal prices in the world market. “Together with the influx of investors are the speculators, middlemen, shysters and all other personalities trying to cash in on the booming industry,” Bichara said. “As a result, there are certain mining claims which are being applied for exploration by individuals and or corporations who are not serious investors but are mere speculators,” Bichara said. Bichara said there are serious investors who are discouraged to come in due to the delay in the processing of permits. “With this bill, we can now separate the serious investors from mere speculators and at the same time, streamlining and cutting bureaucratic red tape,” Bichara said. The measure mandates the Mines and Geosciences Bureau MGB) to grant exploration permit to a qualified person, to be acted upon within 60 days from submission of all requirements, and provided that all requirements are submitted within ninety days from filing of the application permit. Should the applicant fail to submit the requirements within ninety days from filing of the application for exploration permit; such application shall be deemed ipso facto abandoned with finality. All application for exploration permits not acted upon by the Bureau within sixty days from the submission of all requirements shall be deemed approved.